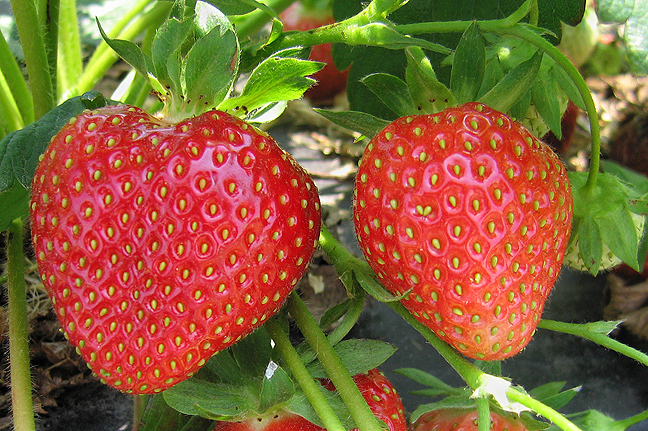 Valentine’s Day is always a big deal for strawberry producers who want to sell lots of chocolate-covered, juicy berries to lovers across the country. This year’s harvest in both California and Florida have been hampered by bad weather, which has delayed harvest. In California, cold and wet weather has damaged ripe fruit in the fields and prevented pickers from going in. In Florida, cool temperatures has slowed production by about 20%, although better weather this week has improved things. You can read more at The Packer here. Posted in Climate and Ag in the news, Fruit. Bookmark the permalink.